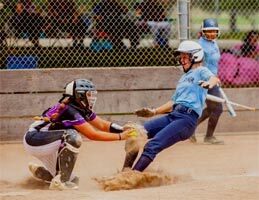 Roseville, CA – USA Softball of Sacramento in conjunction with Placer Valley Tourism are excited to be hosting the USA Softball Western National Championship for the 16u A & B divisions and the 18u B division on July 24-29. This six-day long event will bring more than 600 softball players to Placer Valley with games being played at Maidu Park in Roseville and Foskett Park in Lincoln. Thirty-eight teams from Colorado, Oregon, Washington, Hawaii, Georgia and of course Northern and Southern California will be arriving in time for the opening ceremonies at Maidu Park on Tuesday, July 24 at 8 p.m. that will include guest speakers, music and a laser light show. There is no admission fee, merchandise and food vendors will be on-site for your convenience. Be sure to mark your calendars and come on down to Maidu Park located at 1550 Maidu Dr, in Roseville or to Foskett Park at 1911 Finney Way in Lincoln. You can view the tournament pool and bracket schedules here.